See our wind map resources. Use the Wind Technology Resource Center to find technical resources from the Energy Department on the specific technologies or wind energy research topics through publications, data, analysis, and R&D labs and facilities. OpenEl: Wind Power—a wiki featuring topics crowd-sourced from industry and government agencies. Wind Energy Data and Information Gateway—an integrated online system for the archival, discovery, access, integration, and delivery of data and information. Tethys—a website facilitating data sharing and the exchange of information on the evironmental effects of offshore wind technology and development. WINDExchange—resources, including maps, policies, and third-party publications, designed to assist in the appropriate deployment of wind technologies. Atmosphere to Electrons (A2e): Data Archive and Portal—a repository for all A2e data, such as resource characterization and wake measurements, with protocols and access to assure these datasets have the quality needed for scientific discovery. 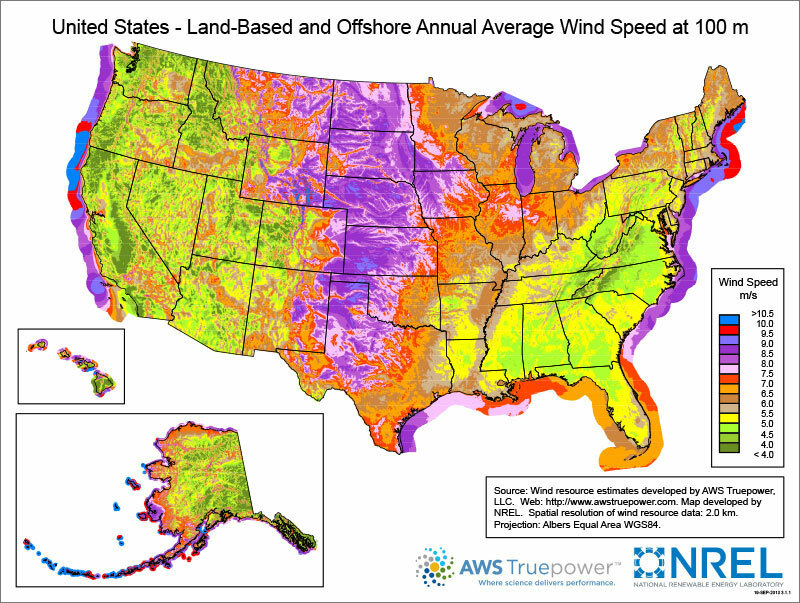 U.S. Wind Turbine Database Viewer—the viewer for the U.S. Wind Turbine Database, a comprehensive dataset of U.S. wind turbine locations and characteristics that is updated quarterly. Wind Technology Resource Center is a resource of the Department of Energy's EERE Wind Program Office.